Most fell races were cancelled this weekend thanks to the weather!! 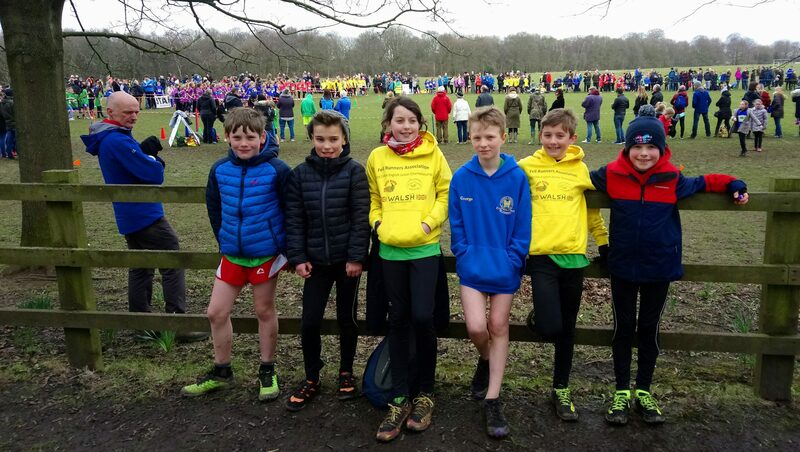 The West Yorkshire Schools Cross Country Finals saw hundreds of the fastest off-road runners from schools across the county competing on a tough course at at Temple Newsam in Leeds. There were a good number of pupils who are junior members of Calder Valley Fell Runners representing Calderdale at the finals. Charlie Pickens, George McFie and Tom Owen competed in the year six race. Fearne Hanson and Thomas Mckee were in the year five race. Sam Annison ran in the year four race. All the Calder Valley Juniors ran well. Thomas Mckee had a particularly good race and has qualified for the national schools cross-country finals which takes place in Leicester next week.